MK Zehava Galon quits Knesset, says she wants to concentrate on reinvigorating Meretz, turning it into a home for all left-wing voters. 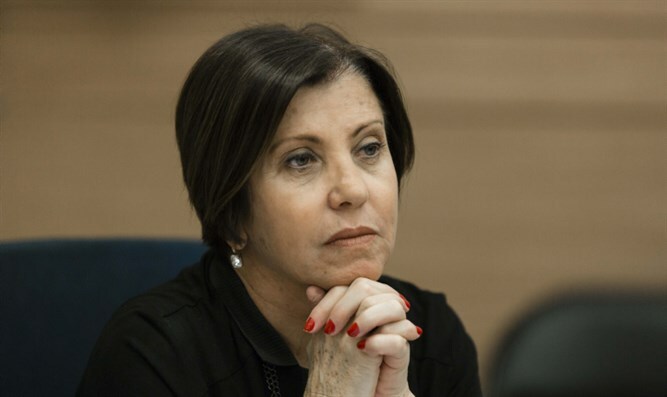 Meretz MK Zehava Galon spoke to Knesset Speaker Yuli Edelstein (Likud) a short time ago and announced her intention to submit a letter of resignation from the Knesset. The outspoken Galon will be replaced by former MK Mossi Raz. In a letter to her party members, Galon wrote that "Meretz cannot continue to exist as an elite club which ignores its voters and supporters, and blocks others from taking part in our battle to reinvigorate Israel's left." "I love the Knesset, but I love Meretz more, and I know that if Meretz does not open up, Meretz will cease to exist. The left has many supporters, many more than the number who voted for Meretz. In order to realize this potential, Meretz must change. Zionist Union MK Shelly Yachimovich said Galon's resignation was "a great loss to the Knesset and the Israeli public. Galon was an amazing parliamentarian and a brave leader. On a personal level, Galon is dear and beloved, and her resignation saddens me very much."